Are you feeling run-down? Do you wish there was something that could help you feel more energized? Alexis Demetroulakos is a Certified Holistic Health Coach in Nutley, New Jersey, who may be able to help you feel like your old self again with her line of superfood products and energy boosters, including adaptogens (nature’s remedy for stress). To learn more about how you can improve your energy, call or schedule a consultation online. Feeling tired is a common complaint, and you’re not alone if you’re searching for the magic solution to give you a boost of energy. 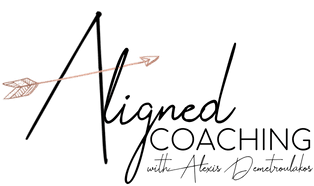 Alexis is a Certified Holistic Health Coach who uses nutrition and superfood products to help you get the boost you need to feel re-energized. Before making recommendations, Alexis wants to know all about you, including your work life, home life, health, and usual diet. She then uses this information to create a personalized nutrition plan that helps you meet your health goals. Her system not only gives you a natural boost of energy but also helps you sleep better at night and improves mental clarity and focus when you need it most. You should see the positive effects after only a few days following the energy-boosting program. Alexis may also recommend her superfood regimen beginning with a 30 Day Energy Reset to help cleanse your body and get rid of toxins and impurities that may be causing an imbalance that affects your energy levels. Adaptogens are a plant-based product that gives your body the nutrients it needs to fight any type of stress you may encounter, including physical, chemical, and biological. Adaptogen is made from roots and plants that have been used for centuries to restore balance and help fight stress. The nutrients in adaptogens help your body better manage stress by improving how your adrenal glands, which are the glands that secrete your stress hormones, react to stress. Who is a good candidate for adaptogens? Everyone can benefit from adaptogens. Alexis recommends it to moms, dads, pre-post surgeries, corporate executives, and women going through hormonal changes related to menopause. Besides helping to restore energy, it promotes healthy aging and helps you refocus. To learn more about the energy-boosting system, adaptogens, and how this can help you regain control over your life, call Alexis Demetroulakos, or schedule a free 15-minute consultation online.